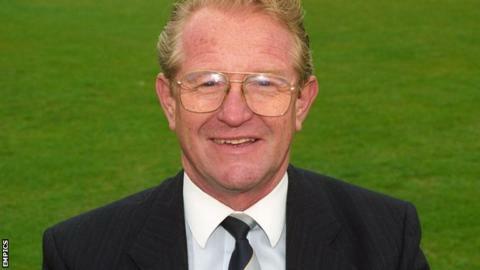 Former Leicestershire player, chief executive, secretary and manager Mike Turner has died at the age of 80. Turner had a 43-year career with the Grace Road club and became one of cricket's top administrators after retiring as a player. He was at the forefront of the development of one-day cricket in England during the 1960s and was a driving force behind Leicestershire's success in the 1970s and early 1980s. Turner was awarded an MBE in 1994. Chairman Paul Haywood said: "Mike was instrumental in revitalising Leicestershire with the signings of Tony Lock, Ray Illingworth and Brian Davison as well as bringing the younger players through. "He brought a great deal of success to the club, particularly in the 1970s. "Mike was a great innovator and introduced one-day cricket to this country through the Midlands Knockout Cup. On behalf of myself, the board of directors, and the whole club, I would like to pass on our deepest condolences to Mike's family." Leicestershire won the Benson & Hedges Cup in 1972 and won that trophy again, as well as the Championship for the first time in their history, in 1975. The club also won two John Player League titles. Turner started as a junior professional with Leicestershire in 1951 and made his debut two years later. He started to work behind the scenes in 1957 and by 1960 he had been appointed as secretary - the youngest ever county secretary in England. Turner also worked tirelessly off the field and played a pivotal role in buying the club's ground in 1965. He was awarded a testimonial in 1985 and left the club in 1993, but renewed links with them in 2003.